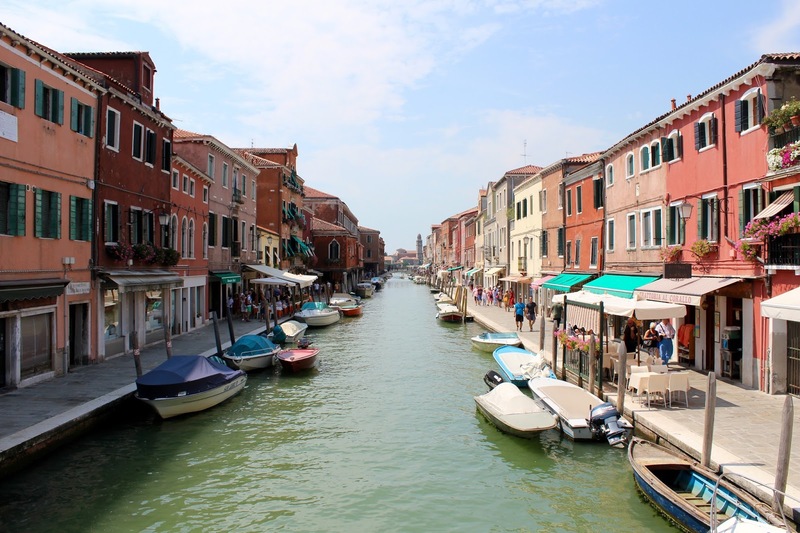 Twenties and Travel: Venice, Italy - Take Two! Venice, Italy - Take Two! I have already been to Venice a couple of years ago, but I have heard this is a romantic city that is best enjoyed with someone. 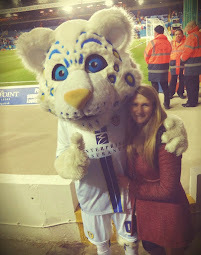 Thankfully this time I had Matthew with me to enjoy it! The temperature was around 7 degrees hotter in July than it was last time I went in September and it really did make a difference – not just whilst walking around in the backstreets, but also with the larger and busier crowds that were attracted to the city. Our initial journey into Venice began at 6am when we picked up a pilot to help our Captain (Captain Philpot) manoeuvre the boat down the Venetian Canals. This means our boat sailed past the Lido and then past the main Island of Venice. We were very close to the island as we sailed in and could see people walking around. Two tugs attached themselves to the front and the back of the boat to drag to cruise liner around on sharper turns and prevent any accidents. At 6.45am our boat sailed past St Marks Square – we were able to see the Basilica and the giant clock tower very clearly from the balcony! It was really beautiful to see the square from here (even if this may increase the chances of the square flooding!). 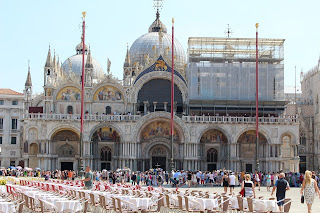 St Marks Basilica - under construction! 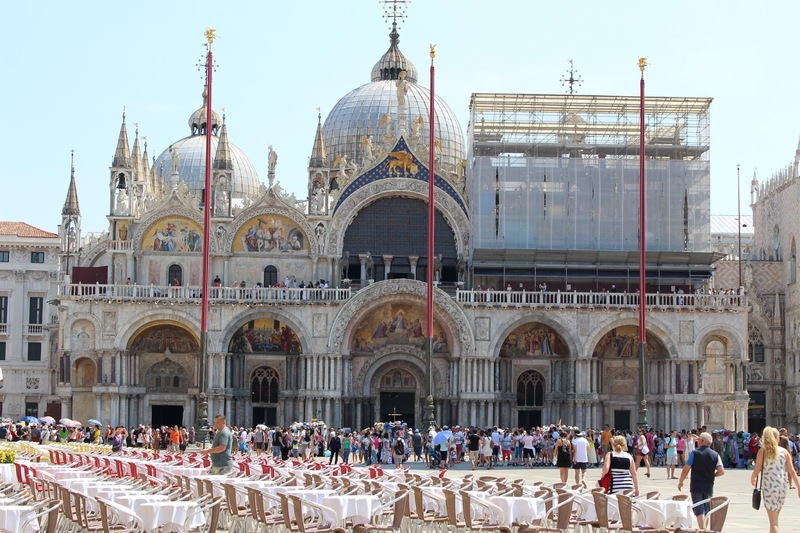 We spent our first day seeing the usual tourist sites – the Rialto Bridge, St Marks Square and St Marks Basilica. 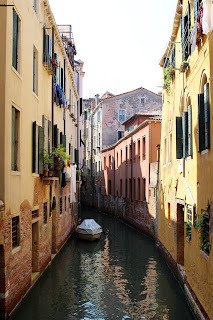 Then doing the usual Venetian trick of wondering around the small canals and pathways to see Venice away from the crowds. We stopped for (what we hoped would be) traditional Italian Pizza. Unfortunately, it wasn’t great (but with the price we paid, I don’t know what we were expecting!). My favourite parts of Venice are when you find long passageways and canals without a person in sight, when it is completely empty. In these places you get to actually see what Venice is like and appreciate how magical and unusual this city really is! It also takes a much nicer picture when there isn’t thousands of people’s heads in the way. Our second day in Venice was dedicated to doing things that I hadn’t done before – the Venetian Islands. 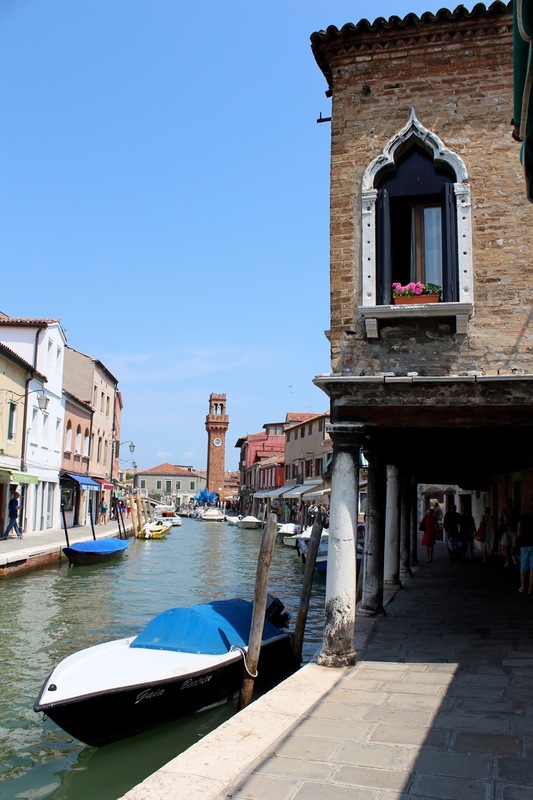 Murano was located about 30 minutes away form Venice on a waterbus. 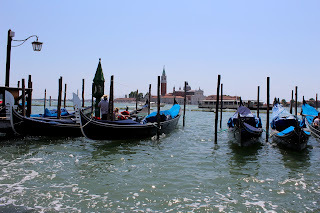 The journey was hot as the bus wasn’t air-conditioned by the views of Venice from the water were spectacular. 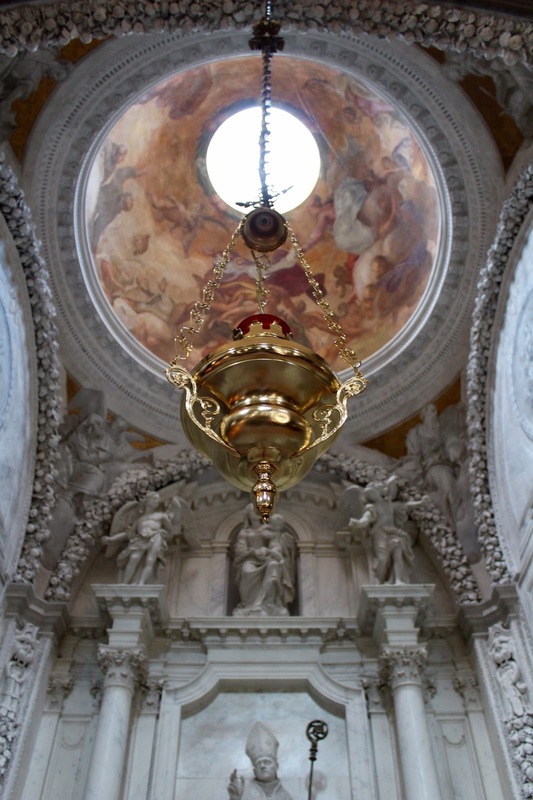 Murano is famed for its glass – Murano Glass. The island has many museums and glass blowing displays. As soon as we got off the boat locals were inviting us, free of charge, to their glass blowing factories. These were in fact, just shops with the glass created in their factories on display to buy. We walked through the little paths of Murano, which felt like a quieter Venice, with less water. The main canal running through the centre and not most pathways! The main tourist centre was lovely with little shops and fantastic displays of Murano glass. It wasn’t quite as easy to get lost here as the pathways all lead to this section, but it was very beautiful. 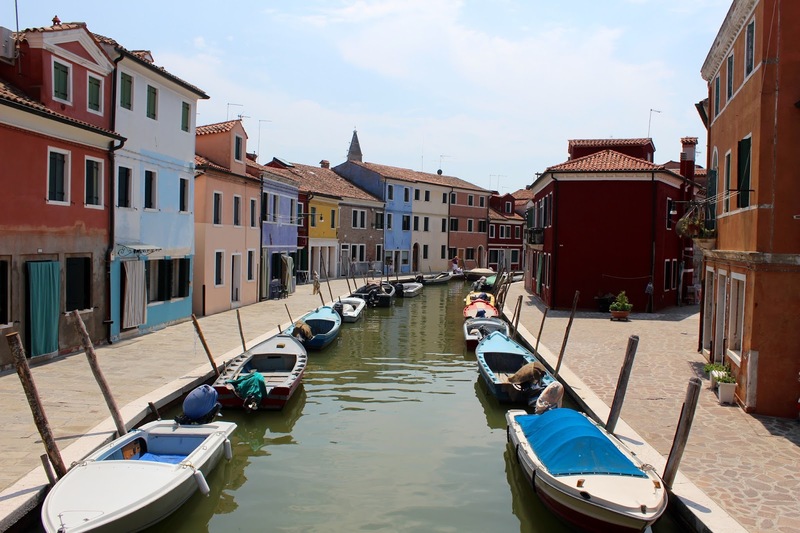 The trip to Burano from Murano was the longest and took around 40 minutes – although the distance wasn’t huge, it was across open water that was speed limited. 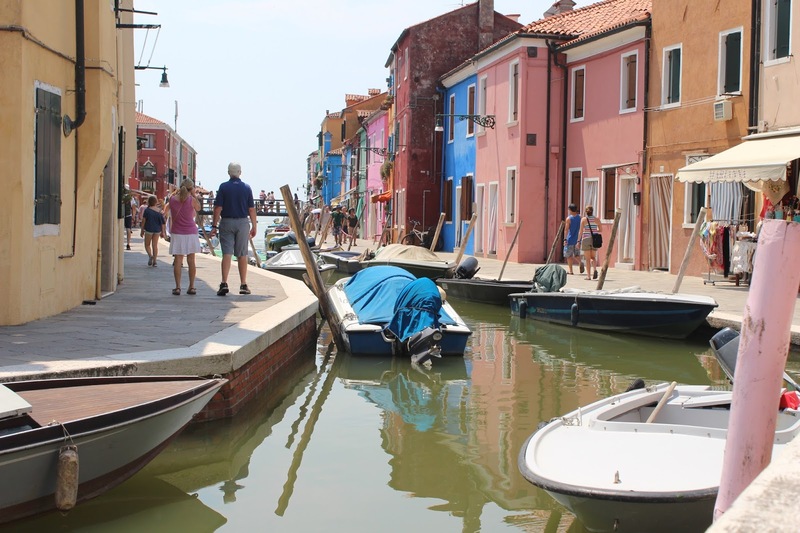 Out of all of the Venetian Islands, Burano was easily my favourite. It is famed for its lace and the multi-coloured houses that are found on the island. Burano was a lot less busy than its neighbour Venice! 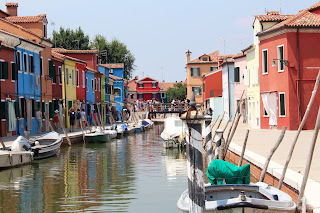 The houses were amazing and their colours reflected in the canals that lined them. Most of the houses had curtain doors also – I assume to let air but not heat into their homes. We searched the island in hope of ice cream, but kept ending up down small back alleys (not the most likely place!). The whole island could easily be walked on foot within 30 minutes to an hour, dependent on your speed. We finally managed to found our ice cream right next to the boat stop after walking the entire island and even some pathways twice! 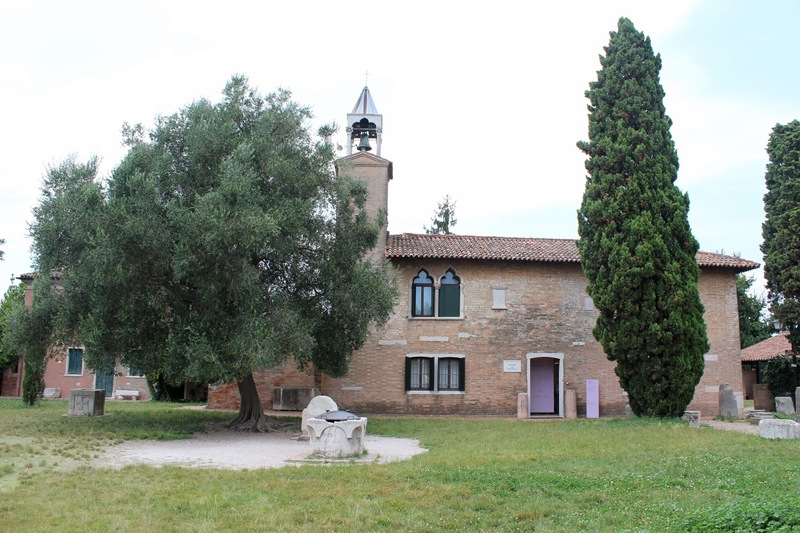 Torcello was a last minute decision – we had the day water pass for €20 and it was only a 5 minute waterbus ride from Burano. I didn’t know what the island was famed for when we arrived and I was excited to find out. Unfortunately I never did, I’m still not sure it’s famed for anything - it was so small. There was a church and a museum and I’m not sure there was anything else on this island! 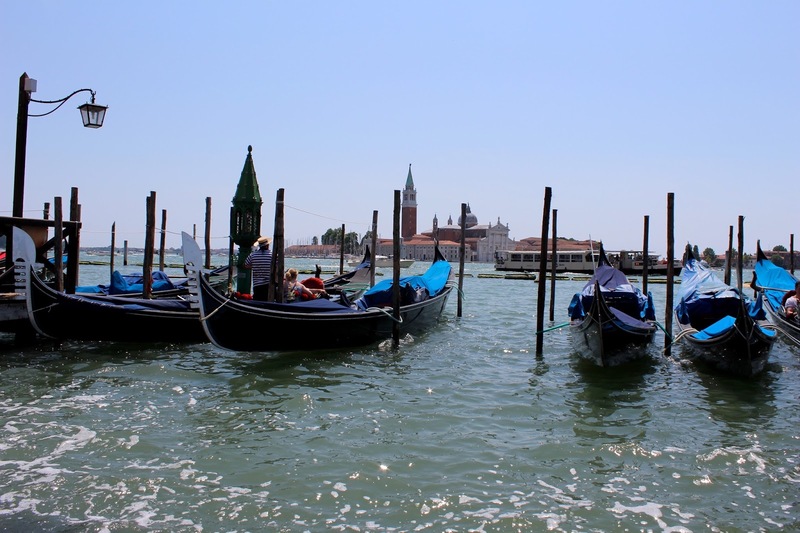 All in all, the second trip to Venice and the surrounding Islands was amazing. It was great to see new things on the return trip and to be reminded of how much I enjoyed it the first time round. I only wish I was able to see the islands at night and see how they came alive and glowed in the canals!